South Korea’s Woori Bank is set to apply for regulatory approval Tuesday to adopt a financial holding company structure. Following a regular board of directors’ meeting Tuesday, the bank will submit a plan for the restructuring to the Financial Services Commission, a financial regulator, according to the company. If the bank manages to earn a regulatory nod from the FSC by mid-November, the reform plan will be confirmed in the shareholders meeting at the end of this year. A new holding company will go public on a stock market by early next year. The anticipated move will increase the bank’s leverage by over 10 times. Therefore, the bank would be capable of some 7.6 trillion won ($6.9 billion) in investment, designed for takeover of securities firms or asset management firms, according to the bank. Formerly a state-owned bank, Woori Bank had introduced a holding company structure in an unprecedented move in Korea in 2001. 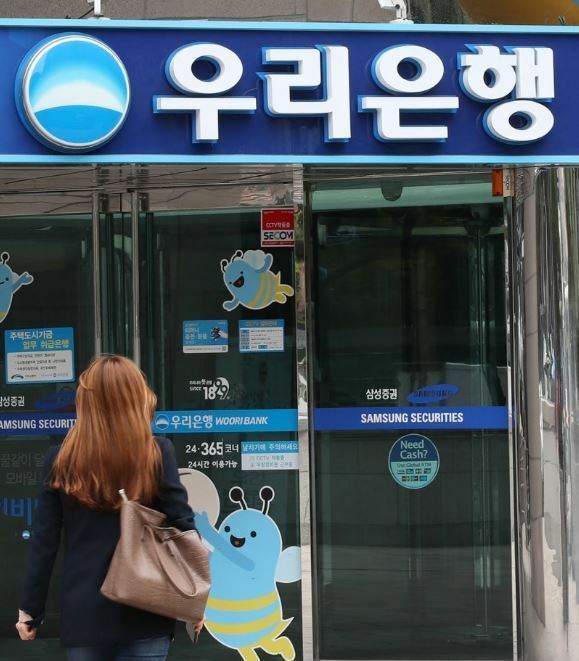 But in the wake of a sell-off of a provincial banking unit and a brokerage house for privatization, the commercial bank put an end to the structure in 2014, through Woori Bank’s merger with Woori Finance Holdings. The bank expressed its intent to transform into a holding company structure in May.